Happy Monday! I hope everyone had a fabulous and well rested weekend. I originally had a bunch of plans this weekend then at the last minute just said "nope, not happening" so it turned into a pretty relaxing weekend. I'm definitely not complaining about it, especially not after how busy my weekend was last weekend! I have a slow week at work this week compared to next week when I'll be at the Oracle Conference (any one else going? Anyone? Ok, wishful thinking there) so I'm going to take full advantage. But for now, jumping into our weekend recap with Biana! As you probably already know, I was at an offsite meeting all day Friday and we had to surrender our phones at the door so by the time 4 pm rolled around I was aching for my phone. Truthfully it had less to do with what I missed in my personal life and more to do with what I missed in work world. I really didn't want to have to go home and work so I was hoping I didn't miss much. After work I headed home, made dinner and just relaxed on the couch since I had two back to back long days. Saturday morning I woke up and had planned on going to the gym but the rainy weather convinced me to stay in and do some cleaning and cuddling with my sweet little pup. I also headed out to run some errands since it definitely wasn't a nice day to be outside! Saturday night we had a nice relaxing game night at my place. Some bubbles, some snacks and some rousing rounds of CAH. Always good times, especially when you just want to chill and get some laughs. Sunday was one by far the nicest day of the weekend but a little chilly, especially in the morning, from all the rain the night before. After doing some Pinterest browsing I decided to make some homemade Poptarts and bacon for brunch before heading out to the pool for some much needed vitamin D. After getting some sun we headed down to a local bar for a drink to cool off before heading home, enjoying dinner and some laughs at Kevin Hart's stand up comedy. Definitely the complete opposite of last weekend but much needed! Sometimes a relaxing weekend is best! Homemade poptarts sound fun! I made them so many years ago and totally forgot about them. Relaxing weekends are my favorite sometimes!! Have a great week! That homemade pop tart looks amazing- id love the recipe! Glad you got some sun in this weekend too- it was super rainy over here! Have a great week!!! I’ve been wanting to make homemade poptarts and yours looks delicious! Glad to hear you made it through that phone less meeting!! And your homemade pop tart looks sooooo delicious! Looks like a great weekend and that homemade pop tart definitely want the recipe to that! It's always fun to get out of the office, but coming back always seems to be so crazy! Sometimes you really just need a weekend to recuperate after doing so much on previous weekends, and it sounds like you had a great time doing that! omg what a nice mellow weekend for us both! sat was so fun. glad to keep it low key for sure. glad you also get a more low key week this week to get ready for next week. never ending right? :) at least we're supposed to get great weather this week! I saw the poptart on snap and immediately was jealous! Definitely need to try making my own! Happy Monday! Homemade poptarts?? Hope you plan on sharing that recipe soon! Relaxing weekends are the best! Yum the homemade pop tart looks amazing!! Relaxing weekends are the best weekends! I am in love with that homemade pop tart??? So amazing! Sometimes you just need a relaxing kick back weekend and it sounds like you definitely had one full of yummy food! Sounds like you definitely needed a relaxing weekend after such a busy week! And I totally know what you mean about missing your phone for work purposes - there's nothing worse than coming back to a slew of high priority emails when you just want to start your weekend! Were the homemade poptarts good?! I'm definitely intrigued!! Glad that you had a relaxing weekend after such a busy week! That cheese tray YUM! And I want the recipe for those poptarts! Relaxing weekends are so necessary to catch up on things and recharge! 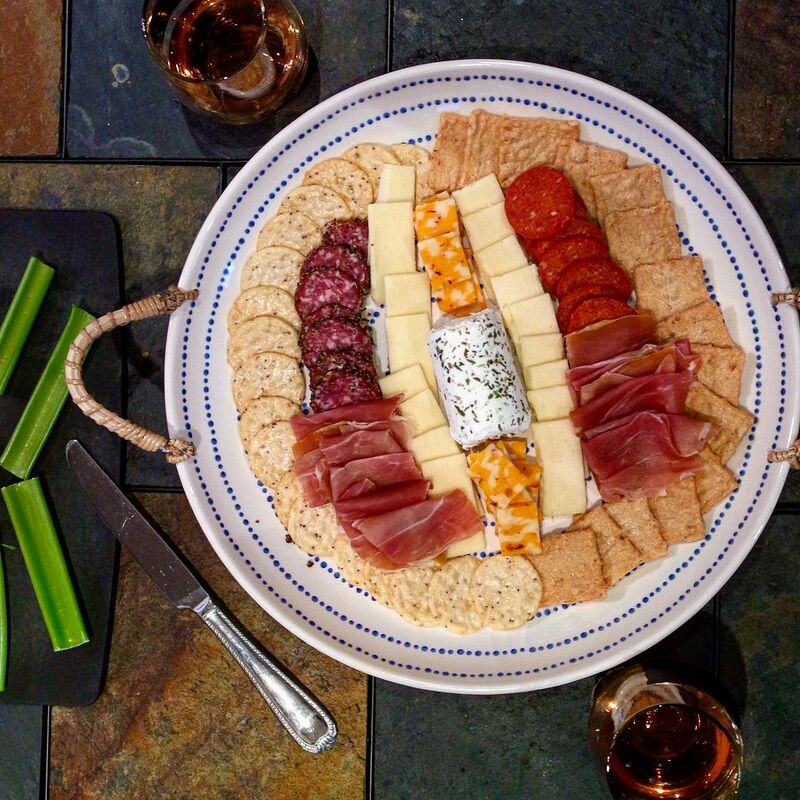 Your cheese plate looks delicious, and that sounds like a perfect low key saturday night! 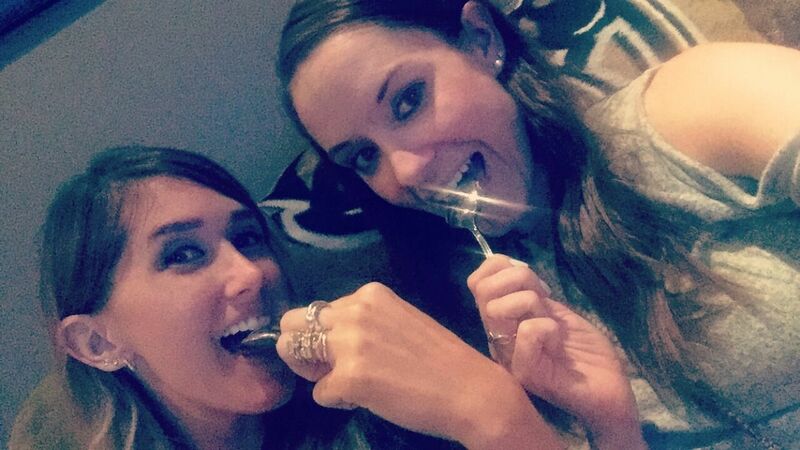 I was loving your and Kerri's snaps...so fun, and that wine and cheese- YUM! Glad you got to relax this weekend...we all need that to get back in the swing of things, and not having plans is so great once in a while! You say Sunday was chilly but that sun looks pretty warm to me haha! Happy Monday! Your weekend posts are always so fun to read! homemade pop tarts and bacon, seriously looks amazing! sounds like you deserved the relaxing weekend though. that's weird that they made you surrender your phone, especially if you would have to continue working afterwards. rude! 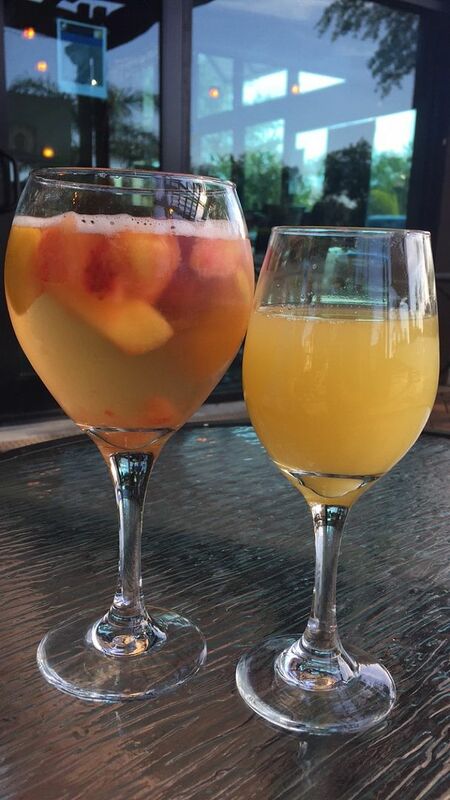 Quiet weekends are definitely needed in the mix. Who made that meat and cheese plate? It looks amazing! Ha! Loved how all your weekending photos involved food! Homemade pop tarts are such a fun idea!! I really want to try making some of those. That charcuterie platter looks amazing, too. Have a great week! A chill weekend is almost perfect when you need it the most! 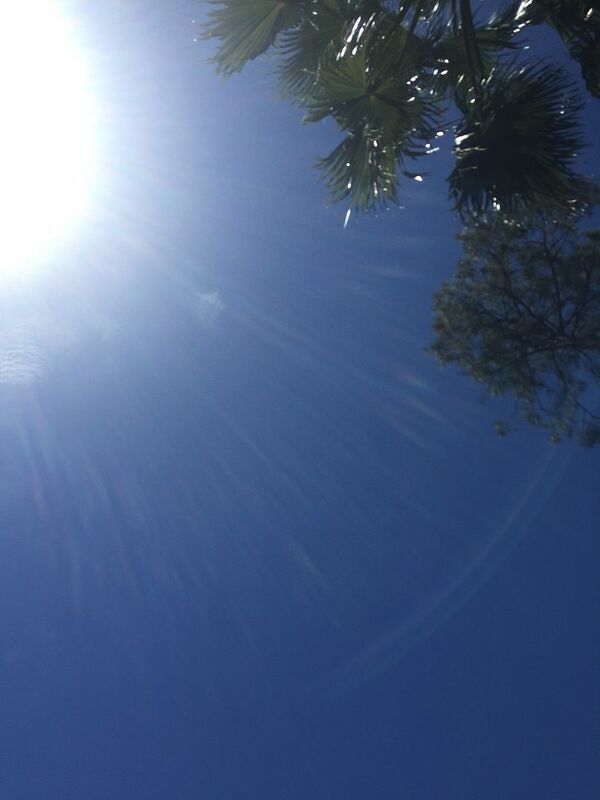 I was totally jealous of your weather yesterday, it looked gorg! 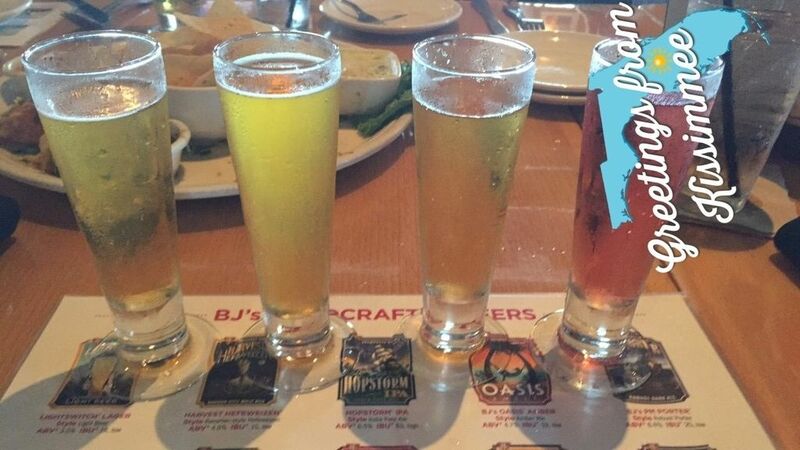 Also I'll take one of those generous pours! 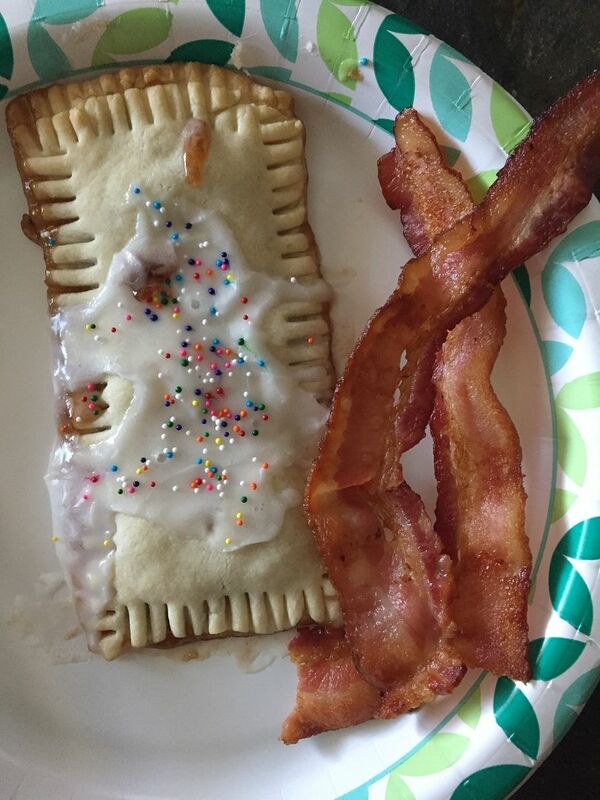 That pop tart looks awesome too, do you have the recipe that you used?? The best weekend! Sometimes you just have to chill... that's exactly what we did! Those poptarts look AMAZING! OMG! 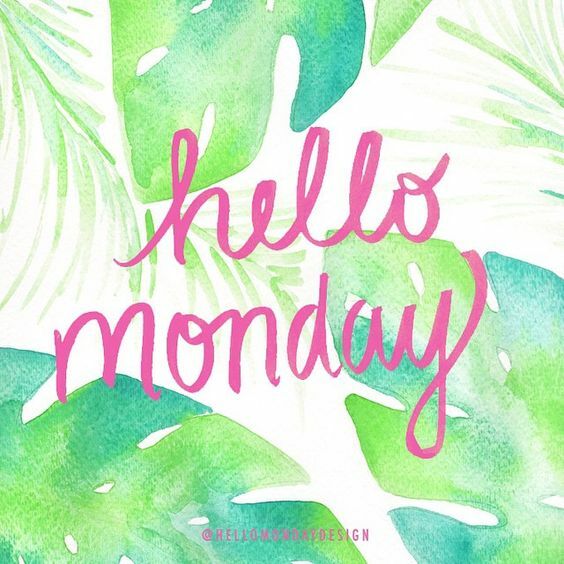 Here's to a better week! Love that mindset just to chill - we were suppose to have bigger plans this weekend coming up and I thought the same thing to myself - nothing ahead for us now! The homemade poptart looks and sounds amazing! Mmmm homemade pop tarts??? Sounds amazing!